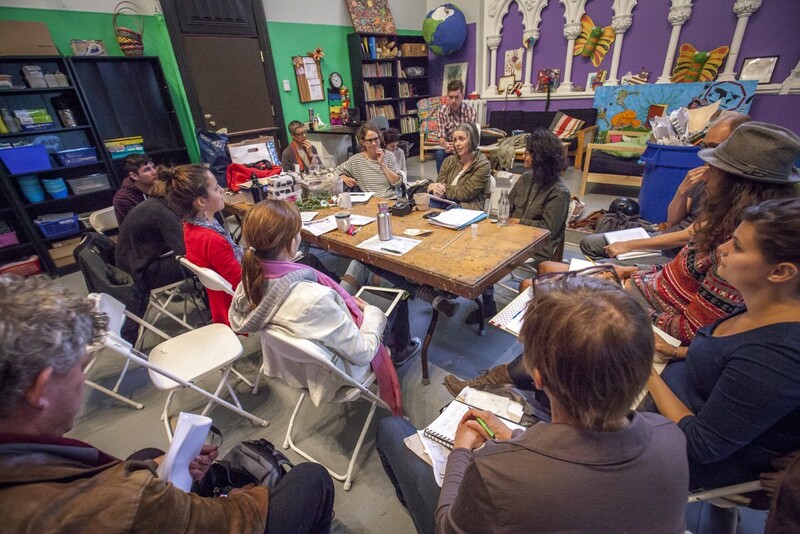 A course about how artists, historians, and community workers might meet and explore social change within Montreal neighbourhoods. 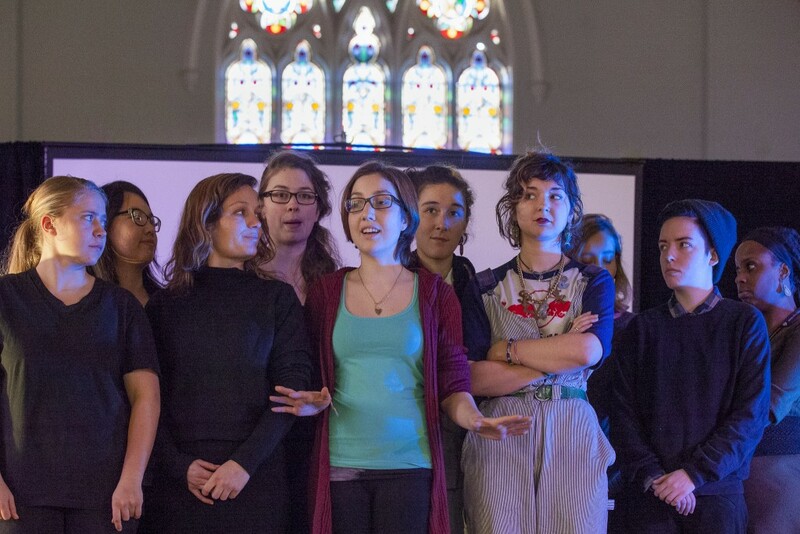 TNT—working as “artists-in-residence”—creates short, intimate theatre/performance pieces suitable for neighbourhood venues and/or other site-specific or “found” spaces. Using an existing archive of oral history interviews and photocopied documents, students enrolled in the class will collaboratively produce a deeply researched downloadable audio walk and an accompanying booklet about Point Saint Charles. Students in this class will be introduced to the history of industrialization in Montreal through the built environment of one of its oldest working-class districts. 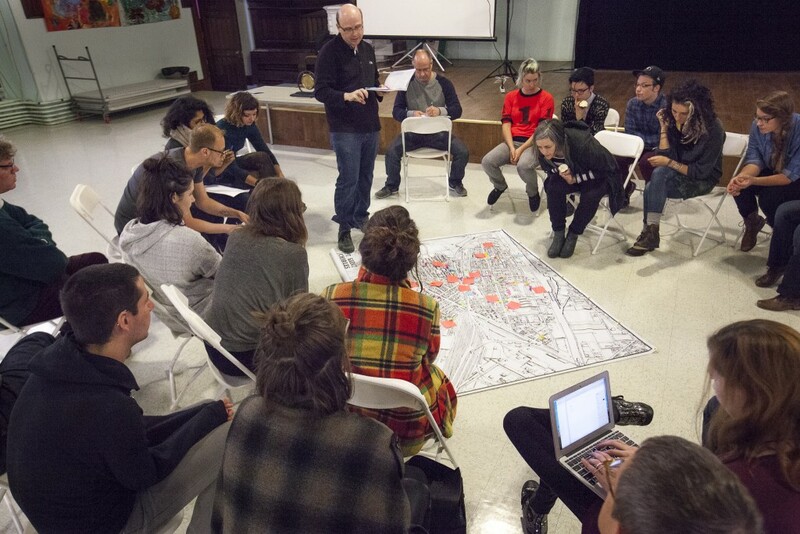 Each student will create an “urban intervention” that will draw out PSC’s historical depth while connecting with present-day spatial politics. They will learn with the Point’s architectural history; collaborate with a particular site within the neighbourhood, and find a creative way to share that site’s past and present issues with a broader public. 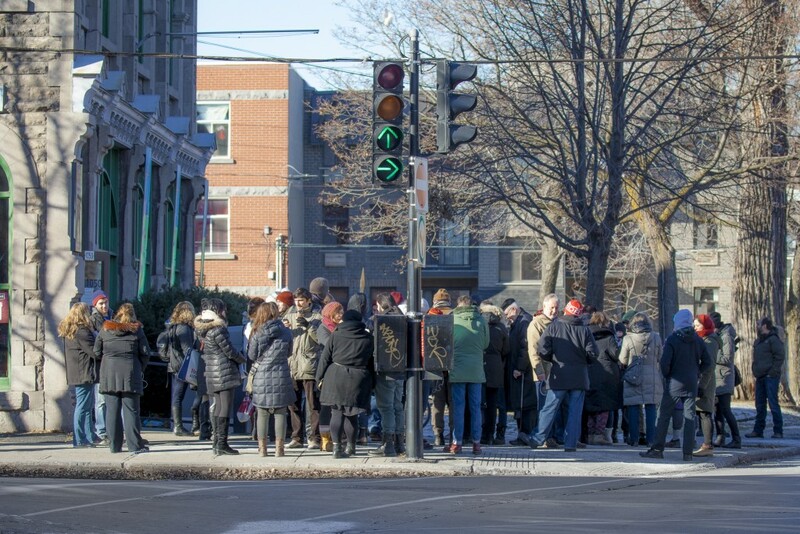 Students will create research-­‐based artworks that take up course thematics of social and environmental justice in the post-industrial scapes of Pointe-Saint-Charles.